This fired brick Ziggurat in the Middle East dates back to 2100BC. The Bell tower of the Castle of Good Hope in Cape Town, built between 1666 and 1684, has withstood the Cape of Storms for over three centuries. 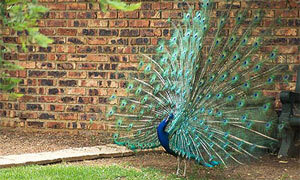 The Castle is the oldest surviving building in South Africa. The very first clay bricks in South Africa were fired in 1656; since then this unrivalled building material has been used to beat our blistering heat, torrential rain, hail, frost and lightning storms. Between Sea Point and the Waterfront, Green Point lighthouse is a landmark from the year 1824. It was the first lighthouse built from bricks in South Africa. Seal Point Lighthouse at Cape St Francis is the tallest masonry lighthouse in South Africa at 27.5m. Many Western and Eastern Cape landmarks stand as proof of its durability against the toughest weather conditions. 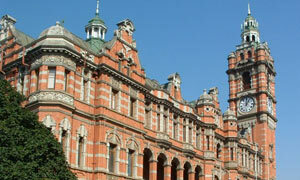 Pietermaritzburg City Hall is the largest clay brick building in the southern hemisphere. Fired brick is one of the longest lasting and strongest building materials and have been used since around 5000 BC. In China, bricks were produced on a large scale under the Western Zhou dynasty about 3,000 years ago. The Ming Dynasty constructed the Great Wall of China from large bricks made of clay, mud, and lime. Can any material really compare to clay brick? New alternative materials and systems are always presenting themselves as “the next big thing” in construction technology, and claiming to be “as good as clay brick”. Although some materials can match clay brick on one or two measures, none can offer the full range of benefits across the spectrum. Clay bricks have an impressively high load-bearing capacity and the highest dimensional stability and compressive strength of all building materials. These properties also minimise the risk of cracking, ensuring the structural integrity of buildings. These building materials cause major issues during manufacture and installation, but fire can release these deadly toxins into the environment all at once. In comparison, clay brick has a maximum fire rating as its total incombustibility cannot contribute to the start or spread of fires. Volatile Organic Compounds (VOC’s) are emitted as gases from certain solids or liquids, and also certain chemicals, and can result in both short and long-term adverse health effects, such as lung disease and even cancer. Concentrations of many VOCs are consistently up to 10 times higher indoors than outdoors. VOCs are emitted by an array of products, including, paints and lacquers, paint strippers, cleaning supplies, pesticides, building materials including carpeting, rugs, fabrics, compressed wood products, paints, sealants, solvents, wood stains, PVC and synthetic leather. Clay bricks are completely inert they do not release VOC's or toxic fumes that impinge on air quality. They do not release silica dust that is linked to silicosis and other lung diseases. 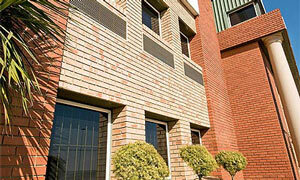 Clay bricks contain no pollutants or allergens and are resistant to ants, borer and termites. A clay brick house can stand as collateral for a bank loan, and when the grandchildren arrive, a brick house can be extended, or re-mortgaged based on its continually increasing value. 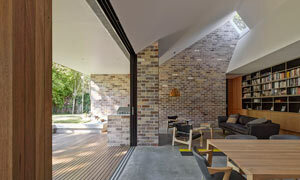 Clay bricks are one of the most cost effective ways to include thermal mass in buildings. They absorb and store heat throughout the day, and then slowly release it at night. This moderate internal temperatures, leading to lower energy consumption, and reduced costs for heating and cooling. “South Africa’s public sector infrastructure backlog is pressuring the government to focus on speed of erection rather than the essential aspects of safety, security, maintainability, investment value and lifespan,” explains Musa Shangase, President of the Clay Brick Association of South Africa. "Public Works departments experiment with novel, alternative building systems but it is brick and mortar that are the mainstay of our country’s long lasting infrastructure - the proven method of building that has endured the test of time." concludes Musa.